Not only do these guys play great bluegrass, but they write songs that match the real stuff on Brother Where Art Thou. You know, songs that tell stories about death, Lazarus, dark clouds and lighting. A very unglamorous foursome performs searing songs about rockers struggling with day jobs and lost dreams as they drift into middle life. Singer Leah Archibald has a great rock voice. When she sings about marital woes and taking the fifth, she is referring to Johnny Walker at lunchtime – not her constitutional rights. Fela-inspired African grooves. Their studio albums are ok, but download their ten minute plus live cuts from Rhapsody for 79 cents apiece. It’s a Grateful Dead style Afro-beat jam with horns and politics from a Brooklyn band. 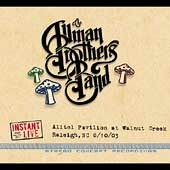 I’ll poop out one live Allman Brothers album every year if they are this good. Here we have Branford Marsalis sitting in and, at first, getting smoked in a cutting contest with Derek Trucks until he realizes these guys can play and then rises to the occasion. This just makes the cut. Disc one is Zeppelin riffs and a little grunge – in short, great classic rock which is a rare commodity these days. On disc two Mr. Grohl duets with Norah Jones and shows his sensitive side. It doesn’t work. What happened to John Bonham as his role model? Also, why is everyone up in arms about this being a copy-protected CD. If it was my music, I would do the same. Various Artists – Son Cubano NYC: Cubano Roots New York Spices 1972-1982.
breaks it down with quirky fresh solos as the rhythm sections plays with the time structure to find its essence. Then twenty minutes later, he comes full circle back to melody we all know. You’ve been taken to new territory and back again, and you realize that such chestnuts as Time Out and Waltz for Debby were pushing the boundaries in their own way. Also, Kevin O’Neil, the best unknown guitarist around, is reason enough to buy this four CD set. Ike Quebec – The Complete Blue Note 45 Sessions :: Big and greasy R&B with a thunderous horn. Thelonious Monk, John Coltrane – Live at Carnegie Hall :: Coltrane at his first brilliant beginning. John Coltrane – One Down, One Up: Live at the Half Note :: Just before his interstellar end. Tina Brooks – True Blue :: A reissue of his one 1960 Blue Note album that should have been huge. Joe Lovano – Joyous Encounter :: Mainstream jazz and a session of standards, but wonderful. Charles Lloyd – Jumping the Creek :: He left us for a couple of decades, but this ranks with his 60s stuff. Bud Shank, Phil Woods – Bouncing with Bud and Phil :: Alto duets from two bebop septuagenarians. Enrico Pieranunzi – Fellini Jazz :: Really a tribute to Nino Rota. Rez Abbasi – Snake Charmer :: Like John McLaughlin and Shatki only a little livelier. Mr. Jarrett forgoes the continuous improvisation of his earlier solo concert where each song arcs into the next. Instead, this is an improvised suite which consists of "discrete pieces drawn from the previous piece". Okay, so that what Jarrett says, and I have no idea what he is talking about. But I like his other quote, "The best improvisation is when you have no ideas". It’s hard to tell the difference between these three relatively unknowns. They all throw in a few quiet and lyrical originals, then dazzle you with their virtuosity, and finally pay homage to Tatum or Monk or Hancock. Well, here is some help. Djangirov’s the 18-year-old Russian prodigy who moved to Nebraska; Jean-Michel was allegedly a rocket scientist with the French Space Agency (no jokes please), and Glasper comes from Houston. All recommended, but I get a little nervous when they are all big on NPR. A few cuts work, but, overall, a lot of sincerity goes a little way. Get the Born to Run reissue instead which is not only his best studio album, but also has a 1975 concert which is far better than anything on the live box set. Be the first to comment on "Kent B Poop 05"